Sports Minister Rajyavardhan Singh Rathore on Tuesday announced the launch of National School and College Games in December and January next year to identify talent from every corner of the country and to provide platform for the young people to take up sports. 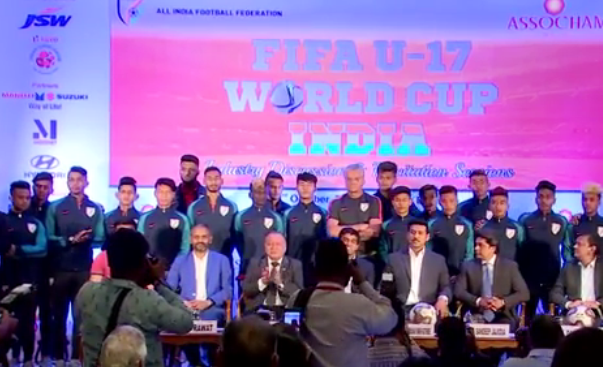 Delivering his speech at a felicitation function of the Indian football team for the U-17 World Cup in New Delhi, Rathore said the government will start the Khelo India National School Games in December 2017 and Khelo India National College Games in January 2018. These will be annual events. Elaborating the plan Rathore further stated that the government has planned to hold these Games in a big way. 1000 children will be selected and be given Rs 5 lakh for eight years for their training and each year 1000 children more will be added.